Russia’s Aliya Mustafina is one of the top-10 most decorated female gymnasts of all time with 19 Olympic or World Championship medals. She returned to competition last year after becoming a mother in June 2017. Watch out for teenager Riley McCusker, who helped the USA win world team gold last October with her superb routines on bars and beam. Russian powerhouse Nikita Nagornyy is the reigning men’s all-around world bronze medallist. Earlier this month, he won his first all-around national title and came first in every apparatus final except floor. Sun Wei earned the most prize money in last year’s all-around World Cup series. He was fourth behind Nagornyy at the World Championships in Doha, two days after helping China win team gold. Great Britain’s Joe Fraser will be hoping to emulate James Hall who won bronze at the 2018 World Cup. 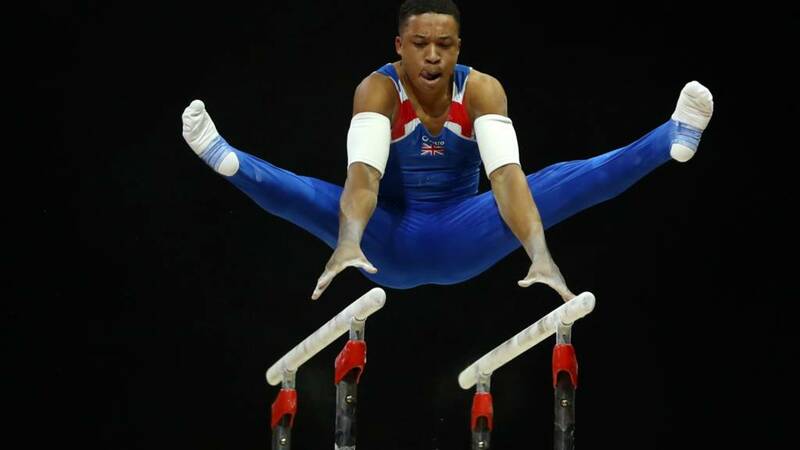 Birmingham’s Joe Fraser, 2017 British all-around champion, was a late replacement after Niall Wilson had to drop out due to surgery. Brinn Bevan, who was part of the team that finished fourth at the 2016 Olympic Games, has also been replaced by Jamie Lewis, winner of five European medals at the 2018 Junior European Championships. Ellie Downie is the sole British female gymnast in the tournament. Downie, the 2017 all-around European champion, will face tough competition from Russia’s double Olympic champion Aliya Mustafina and three-time European medallist Melanie De Jesus Dos Santos of France. What is the 2019 Gymnastics World Cup? The World Cup in Birmingham is the third of four all-around events in the International Gymnastics Federation World Cup Series.This event follows the American Cup and Stuttgart World Cup with the Tokyo World Cup, the final of the four competitions, taking place in April. As well as competing for on the day honours each gymnast collects points for the 2019 World Ranking lists that will determine the winning federations. This weekend’s action features nine men and nine women from eight different countries competing for all-around gold. Male gymnasts will compete on the floor, pommel horse, rings, vault, parallel bars and high bar while then women take on the uneven bars, vault, beam and the floor. How can I watch the 2019 Gymnastics World Cup? The BBC will have coverage on BBC One, Red Button and online of all the action from the 2019 World Cup. An extended highlights programme will be broadcast on BBC Two on Sunday, all coverage will also be available to watch again on the BBC iPlayer. With so many types of gymnastics how can you decide which style is for you? Luckily, CBBC have done the hard work for you! Take their quiz to see what you should try out.